This performance ensemble provides a “society” and “family” to which all band students can belong. It is a place where they learn values and standards, where they can learn to depend on one another in their pursuit of excellence. They learn about responsibility, doing their fair share, and sticking to a common goal. They learn to value people, respect their peers and not make judgments on the superficial. They frequently acquire a stronger base for their adult life than any other avenue open to them. 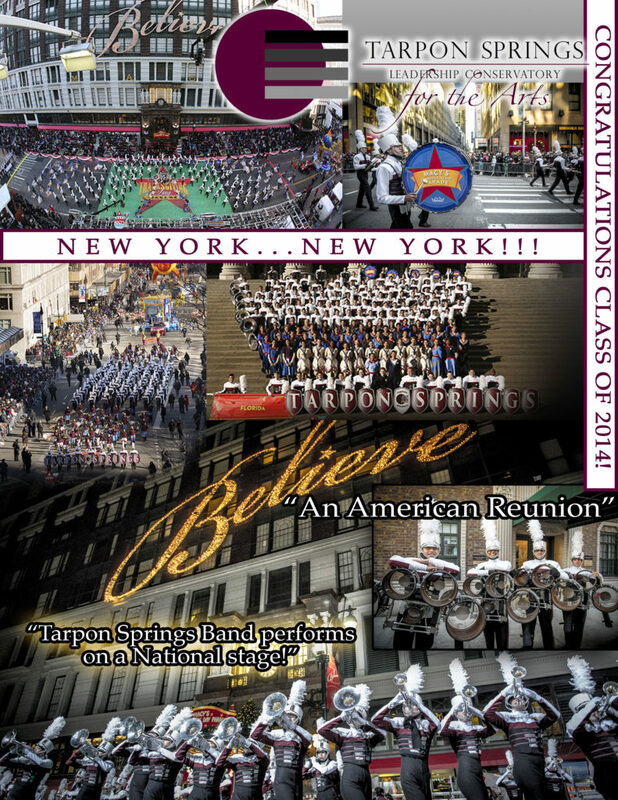 This particular ensemble is the most accomplished marching band of any in the state of Florida and have been crowned the 2000, 2001, 2003, 2005, 2006, 2010, and 2012 Bands of America Division AA and AAA Class National Champions in Indianapolis, Indiana and were featured in the 2013 Macy’s Thanksgiving Day Parade in New York City. The Marching Band performs the half time program at all home football games and select away games. The first official marching band competition is usually the Seminole Sound Spectacular at Seminole High School early in the season, followed by state, regional and national Bands of America events including competitions at Tropicana Field in St. Petersburg, the Georgia Dome in Atlanta (home of the NFL Atlanta Falcons), and the National Championships in Indianapolis, Indiana. At the Conservatory, each school year starts with the The Outdoor Performance Ensemble and Marching Band programs. Beginning with the “Ice Breaker” event the last Saturday before school is out, the Marching Band season stretches through November and includes performances at the local, regional and national level evaluations. At the annual “Ice Breaker” rehearsal, incoming freshman (graduating 8th graders) are introduced to the Leadership Conservatory for the Arts. Following Ice Breaker and during the summer months, Marching Band musicians practice on Tuesdays in either sectional rehearsals or full band rehearsals at the high school. Band Camp begins the week before school starts and is required for all Conservatory students. During Band Camp, students work full time on the musical compositions for the fall program. After school starts, band practice is Tuesday and Thursday nights and most of the day on Saturday. Attendance is mandatory and enforced. The Conservatory and Tarpon Springs High School hosts the Tarpon Springs Outdoor Music Festival competition each year in October which attracts high school bands from throughout Florida and the Southeastern United States. Please read “The Values of Marching Band” for a great description of the band experience! Please read “10+ Values Marching Band Students Learn And Why You Should Hire Them” for a great read on the values a marching experience brings to an employer.